In the second image is she visiting a farm?! Why the heck is she wearing a posh frock and hat to a farm? I know she loves the camera but that's a joke. I love how our Waity is wearing an Erdem dress and carrying a McQueen clutch. Just your average country wedding attire, huh, Waitster? "Can you see, my love?" For all her faults (and there is a LOT of them), she certainly does have a face that allows her to pull off hats. I'm a little jealous. 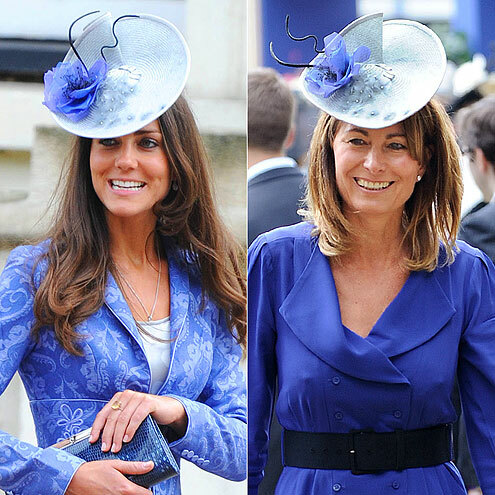 -hat vs. fascinator: what is in style right now? -do you take it off at the reception or leave it on? what about if its just a small fascinator/flower clip in your hair? -since I am 30ish and married, should I stick to a more conservative hat, or does age/marital status matter? -where the heck do I buy one, and how do I transport it on the plane trip?? These may be silly questions, but I want to make sure I have the etiquette down. I'd say a hat - fascinators have been done to death. Go big and dramatic. but make sure you feel comfortable wearing it. I like the bigger hats myself. Most of her fascinators are just not. Women aren't hat or not-hat. They are what-kind-of-hat. Some will gladly wear a warm-wooly in winter to avoid the ice-cold headache. Others, wear the big brim straw to prevent sunburn when the sun-block lotion wears off. Then there are those that say "Hat!" and can't wait to find the perfect adornment for their hair and outfit. Though, I have to admit, some of the hats I see on women attending weddings are just fugly. I think they are worn to provide comic relief during the service and the dinner/reception afterwards. Others though are quite lovely and complement the ladies' outfits and face shape. It seems more trouble than it's worth to accommodate this archaic custom when there is no practical or logical reason to wear headgear. Fascinators are so much more wearable and the problem with a super big hat is that you will be obstructing someone's view when the ceremony takes place. Plus you can keep your fascinator on when dancing. Thanks, ladies! I really appreciate the input. 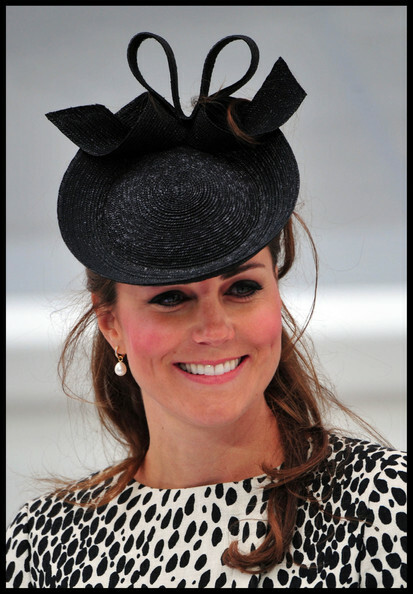 I've liked MOST of Kate's hats. I wish we did hats in the US! Start a trend! I sometimes wear hats and fascinators, and every time I do, I get a ton of compliments. 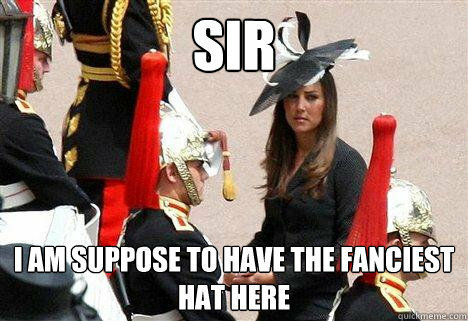 I for one, am a fan of most of the Duchess' hats/fascinators. I'm trying to bring the trend to America!